This year’s main ring superstars are Extreme Bike Battle FMX, a team of incredible stunt riders performing spectacular tricks and defying gravity to pull off jumps, flips and somersaults on every day of the Show. Visitors can also meet television presenter and Cotswold Farm Park owner Adam Henson, have a go on the 4×4 off-road course, witness the daring antics of the Dorset Axemen and take a ride on the enchanting miniature railway. “The Royal Bath & West Show is a mecca for livestock competitions, attracting some of the best dairy cows, beef cattle, sheep and pigs in the country,” explains head of shows Alan Lyons. Of course, there is plenty of retail therapy on offer, with exhibitors ranging from country clothing and equipment to art galleries, garden centres and toy stores. In addition, visitors can enjoy food and drink from some of the best producers in the West Country, and taste award-winning cider and cheese, says Mr Lyons. 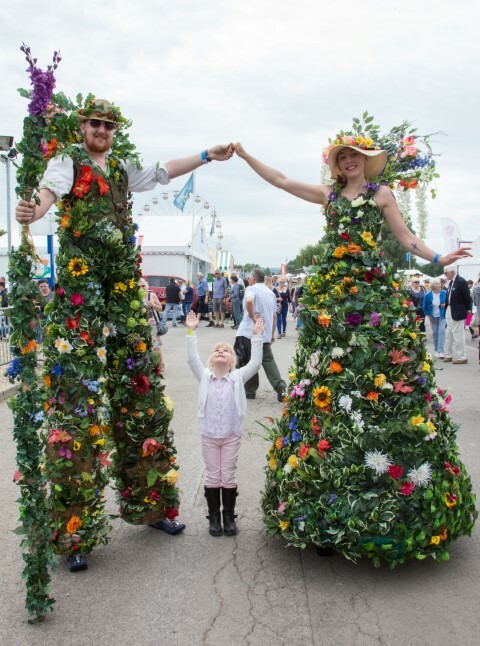 The Royal Bath & West Show will be held on 29 May – 1 June. Competition schedules and tickets are available from the website: bathandwest.com or by calling 0844 776 6777.